SMSL AD13 – bluetooth receiver and integrated DAC. SMSL AD18 – bluetooth receiver, integrated DAC, subwoofer output (via cable) & high quality headphone amplifier. Topping VX3 – great value amp with headphone output and bluetooth receiver integrated. 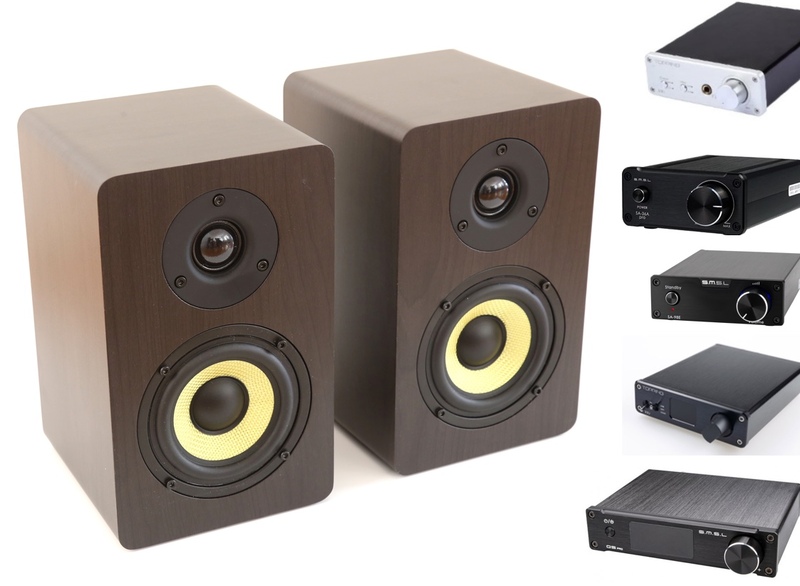 Topping PA3 – powerful amplifier with 2x Stereo RCA inputs. Topping MX3 – Fully featured all in one amp for a great price.